Meeting Planners Love Working With Sam Glenn! He is known as one of the most exciting kick off and wrap up speakers in the speaking industry...ask anyone! BOOK SAM GLENN if you want a homerun! Sam Glenn is an Award Winning Keynote Speaker, Performance Artist and Author Who Delivers a Mix of Entertaining and Inspirational Speeches that Ignite Personal and Professional Positivity +! We are celebrating 20 Years of Inspiring Speeches! Sam Glenn's motivational speeches are an empowering, entertaining and energizing way to recharge your group's attitude batteries, rekindle enthusiasm and ignite new levels of personal and professional positivity. For the past 20 years, Sam Glenn has been a featured keynote speaker for 2000 plus organizations from every type of industry – Education, Government, Non-Profit, Fortune 500, Associations, Retail – and if there is one common theme; it's that "It All Starts With Attitude!" Today, Sam has earned the recognition as one of the most outstanding kick off and closing speakers in the speaking industry. Meeting and event planners love working with Sam and trust him to deliver value, interaction, inspiration and create an uplifting and memorable experience. 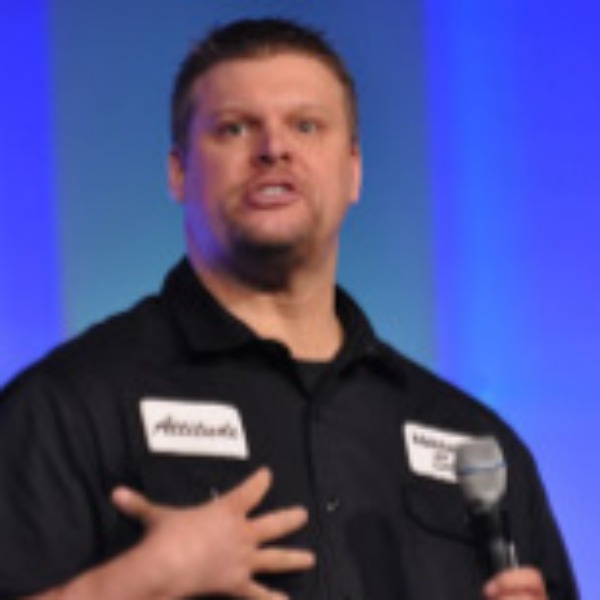 If anyone knows how to recharge an organization's positivity, recognize employee efforts, and make learning new ideas exciting, it's Sam Glenn, Award Winning Motivational Keynote Speaker and Inspirational Author. Sam Glenn's motivational speeches are gleaned from his own life experiences of successes and failures. Having lost a very successful business due to a fire, Sam became negative, broke, depressed, jobless and homeless – almost overnight. It was a chance encounter and subsequent friendship with Zig Ziglar that eventually gave Sam a "Kick in the Attitude." It was a gift that changed his attitude – and his life – for the better. Within two years, Sam went from sleeping on the floor to achieving dreams he once thought impossible. Sam's ability to pull positivity out of adversity has led him to become the leading voice on the topic of attitude as it relates to being a leader, dealing with change, cultivating a culture of engagement, improving customer service and improving your personal and professional development. Over the years, Sam Glenn has been the "go-to" resource for hundreds of organizations where positive people engaged in positive action are valued. Sam's energetic – and often humorous – programs engage, equip and empower audiences with an attitude recharge that will improve performance in their professional and personal lives. His eye-opening presentations will leave your audience with practical strategies that allow them to embrace a new outlook on the way they interact with co-workers, clients, customers, family and friends alike. If Your Organization is Looking for An Uplifting and Positive Guest Speaker to Deliver a Captivating, Motivating, Entertaining and Educational Experience, then You Need to Book Sam Glenn! Contact us Today! "I've heard over 100 speakers in the last 10 years, and you top the list!" "Hats off to Sam Glenn, OASBO's keynote speaker for our 2015 conference! He knocked it out of the park at our first general session – he made us laugh, he inspired us, (he painted for us), and he set the perfect tone for positivity for the conference! Our members loved him – and couldn't stop talking about him the rest of the conference. That's the kind of keynote we always look for, and he delivered. It's always a difficult and stressful process to find a keynote speaker who we believe will resonate with our members. Save yourself time this year and BOOK Sam for your next conference! He's your (positivity) guy!" "Sam Glenn delivered a memorable, rousing, infectious and educational message to our attendees. He was the perfect closing session speaker, leaving our attendees energized with a "new" attitude." "As every company will experience at some point, employees can "burnout", and as Human Resources Manager at Lawler Wood Housing, I needed to find a way to motivate my group. I was fortunate to have seen Sam Glenn at a SHRM conference and knew right away that if anyone could "recharge" employee attitude, he was the one to do it. Sam was the best speaker I could have hoped for.....I absolutely recommend him to anyone looking for a fun way to reinvest in their employees." "Great way to end the conference! I would suggest starting and ending with Sam Glenn in the future. I think if more people knew how motivational and entertaining Mr. Glenn is more people would stay until the end." "In the words of several of my faculty members, "this guy was the best one ever, he was just what we needed." In my opinion, his levity and message are as powerful as his chalk art. He was very personable and related well to all ages that we had him speak to. His presentation to the combined faculties was inspiring and motivational while his presentations to the student groups were not only motivational but very relevant to their own life experiences. We will be working to have him again in the very near future." "FAIA brought Sam back a second time because of the great reviews he received during his first appearance with us. Sam is an awesome story teller and ended our convention on just the right note with humor and inspiration. He had our group spellbound with his chalk drawing. Sam was the talk of the convention the rest of the day! To top that off, Sam is such a great person to work with." "Sam, The Attitude Guy, recently presented a keynote address for our Leadership conference of approximately 175 attendees. Working with Sam and Michelle prior to the conference could not have been easier. We were extremely pleased with Sam's presentation and our post conference survey showed that he was well-received by all. The inclusion of the artwork in his presentation fit so well with his message. We were able to give out several of his books to all of our attendees for them to take back and keep his message going. It is not always easy to engage and please a group so large, but he did it! I highly recommend Sam for keynotes or other motivational sessions designed to inspire your audience." – Pattie Woods, VP Training and Development, Fogelman Management Group. "Sam was AWESOME!!!! I have had soooo many people compliment us on booking him! I think at one point he had our VP in tears laughing so hard!" Sam was an AWESOME keynote speaker and opening to our 35th annual conference! I had tears in my eyes from laughing so hard, and yet his kick in our attitudes set the stage for a highly motivated group of attendees....Our members just LOVED Sam, his presentation was perfect, it was funny, heart-felt and honest and added life and enthusiasm to the conference. Our conference was educational, a great platform for the sharing of experiences and networking and Sam added another very important element – FUN. How can I possibly thank you for being, by far and hands down not only the best speaker the AMA has ever had, but for most, the best speaker they have ever heard! Our members just LOVED Sam, the presentation was perfect, it was funny, heart-felt and honest. For me personally, since this was my first Trade Show with the AMA, and Sam was my choice there was a lot riding on his presentation, the members were either going to love everything or dislike me for changing the format. They opted for the "loved everything", and could not stop telling me and our Board of Directors how impactful his presentation was and how much they wanted to hire him to speak to their own companies. Sam was absolutely wonderful! We've never had such wonderful feedback from everyone after a our conference like we did when Sam spoke! We are thrilled to use him again in the future! Sam was AWESOME! I anticipate you getting several inquiries to book him from the attendees who are involved in other conferences. The comments on the conference evaluations were just incredible regarding him and his presentation! I am so proud to have recommended him and the committee listened to me. People were talking about him throughout the whole conference! If you EVER need a reference or any type of hype what-so-ever, please feel free to call upon me. He is an unbelievable man! I hope to be able to book him for some of our local conferences in Chicago so he won't have to travel and so we can keep the art work! We offered the drawing to our local Salt Lake office and they were so thrilled they were besides themselves! He really impacted the whole group. He had tears in my eyes again I laughed so hard. He is my inspiration. Although I already have a pretty good sense of humor to start with. I have had more compliments from people, not just right after the event, but days later follow up phone calls, letters; all complimenting on his presentation...more than I have ever had in the past! I knew he was great with student groups, but the adult presentation was phenomenal! After attending Sam's presentation, personnel told me that they felt a renewed energy to ratchet up their effort for self improvement. Thanks Sam! That's a three-win for: customers, corporate and themselves. Thank YOU. We have staff who have been talking about looking into Sam for other groups and churches. By the way, second assembly went great as well. I encouraged our superintendent to go to the second one and he loved it! Hope to work with you again. Again, on behalf of the Northeast Coalition to Reduce Underage Drinking and the Rural Prevention Network, I want to express gratitude and appreciation to you for the inspirational message provided to over 1,700 students in Northeast Michigan. Your enthusiasm and passion for making a difference in the lives of young adults is a gracious gift. Glad you decided to keep on living out your dreams, so others could live out theirs. Sam Glen was a huge hit at the Western Region Leadership Conference in Phoenix, Arizona. Over 2,000 students and advisors laughed and cried as he told his inspirational stories. The magic of his picture creation had everyone mesmerized. I highly recommend Sam for your next event!